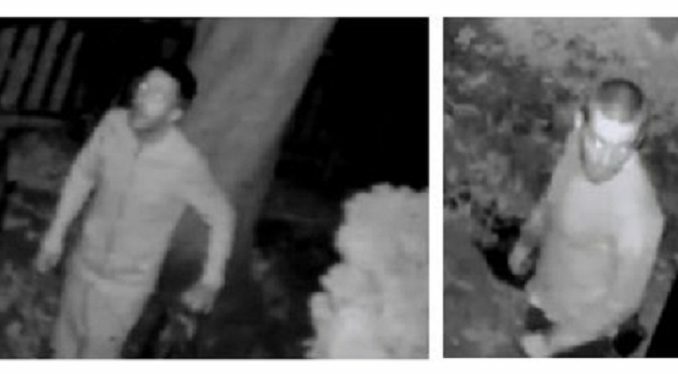 Police have released images of two men who may be able to assist in their investigation into a report of lead stolen from Pierremont Hall in Broadstairs. It was reported that the lead was taken from the building in Pierremont Park and tiles were also damaged. At around 8.30pm on Sunday 30 September CCTV at the site captured the images of two people that police would like to speak with in connection with the offences. Anyone with information regarding the theft, or if you recognise the two men, please call Kent Police on 01843 222289 quoting ZY/59587/18.